Roco 78001 Diesel locomotive class 2062 OBBDiesel locomotive class 2062 of the Austrian Federal Railways. 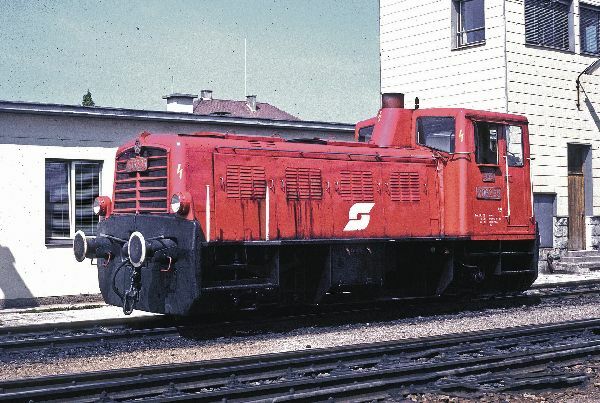 In 1958 the Austrian Federal Railways procured a series of the 400 hp strong diesel locomotives of the series 2062, to replace the cost and labour-intensive steam locomotives which provided shunting services. The Jenbacher Werke in Tyrol built a total of 65 pieces of this small biaxial Diesel locomotive until 1966. With her eye-catching, cast-ironed front plates, which also served as ballast weights, the locomotive was used throughout Austria in the shunting and maintenance service. On the Lower Austrian branch lines, these locomotives were to be found in front of passenger trains that had one or two wagons. The last locomotives were decommissioned in 2003 from the normal operating service. As For factory and maintenance train locomotives with the series designation X262, however, some of the locomotives are still used even today.